At PR Designs, our owner and licensed interior designer, Pey-Rong Garcia, works closely with our clients to ensure the perfect treatment for each window. From simple modern designs to elaborate traditional décors, she will help you select and design the prefect treatment to accentuate your windows and compliment your interior design style. We don't just take your order for window treatments, we listen to your needs and consider your design style and recommend the best treatment for your windows. We offer all window treatments including Wood and Metal Blinds, Roller Shades, Woven Shades, Cellular Shades, Sheer Shades, Roman Shades, Plantation Shutters, as well as customizing Decorative Treatments that is uniquely yours! We also carry Tableaux Decorative Grills to accessorize you window. We work with high quality drapery workrooms and professional installers to ensure a high level of quality and installation. We are bonded and insured. Contact Us for a FREE In-Home Consultation and start Styling you windows! Blinds Plus Shutters & Shades Inc. Awarded Angie's List Top Ranked Window Treatment Company for 2012, 2013, 2014 and 2015. Also awarded "Best of HOUZZ" - 2015 - 2016 - 2018 - 2019 Our mobile showroom has over 7000 products and actual working samples. We are a leading supplier of residential and commercial window treatments throughout ALL of Central Florida. We supply numerous custom home builders & developers and take great pride in our business model of Honesty, Integrity & Affordability. I am a third generation engineer and ex-military. If you want it done right at a fair competitive price, please give us a call @ 352-978-3206. Our Veteran, family owned business installed motorized shades in a thirty-six story condominium high rise for over five years with a local developer. The owner of Blinds By Design also used to work for a plantation shutter manufacturer which is why so many custom home builders and homeowners trust us to complete their projects. Budget Blinds of Greater Orlando offers complimentary in-home consultations with our design experts, allowing you to envision the look of the treatments in your home. This beats running from store to store or taking your chances online! We’ll measure your windows, do the ordering, inspect your window coverings on delivery, install them perfectly and empower you with our "No Questions Asked Warranty"! Our selection of window treatments includes shutters, blinds, shades, and draperies! Regardless of the window’s size or shape, you can rest assured that we will have a customized window coverings solution ready for you. Let’s get started planning your new custom window coverings today! Call 407-688-9715! Draperies and Interiors by Bette and Lauren is proud to announce their upcoming 68 years in business! Family owned since 1947; Lauren inherited the business form her Aunt Bette in 1989. The business specializing in residential custom window treatments. Upholstery and interior design services. Lauren assists clients in selecting fabrics and styles for window treatments, upholstery as well as paint, flooring, lighting, pictures, accessories. He husband, Jim, provides professional installations of window treatments, artwork, fans, lighting, painting, and more. Call for your free in home consultation. Zara Design offers the possibility to customly create the interior look of your house. Custom Window treatments for residential and commercial interiors. Budget Blinds Of St. Cloud are your Osceola County, Florida window coverings professionals for all types of window coverings be they shutters, blinds, shades, drapery or window film. We are proud representatives of the 1,200 strong national team of Budget Blinds franchisees that has successfully been in business for over 20 years and is the No. 1 in the custom window coverings industry. We service both residential and commercial clients and are totally committed to ensuring your fullest satisfaction with our services throughout your buying experience with us. Upon your request, we will bring our expertise and samples to your home/business for a FREE consultation when we will help establish your specific requirements, measure the windows requiring covering and make recommendations according to your budget and time frame. You can rest assured that Budget Blinds is the leading custom window coverings provider in the USA and Canada and this enables you to make your selections from the very best window coverings available on the market at the most competitive prices and with the most comprehensive industry warranties ! Ask your Consultant to explain the details. Once the order is placed we track delivery times with our vendors and arrange a convenient time to install as soon as a date of delivery to our warehouse is confirmed. Our installers are highly professional and experienced and are trained to be timely, courteous, friendly and respectful throughout this process. As our business relies very highly on referrals and repeat business it is a founding pillar of our business to always treat our clients with the utmost respect, courtesy and professionalism ! Having served Central Florida since 1988, US Verticals has cemented it's position as the leader in custom Blinds and Shutters. We manufacture many of our own products in house which allows us to offer the highest quality products at affordable prices. Carol Batalha offers a full-service design firm specializing in homes and apartments for families with children. Every project is a true collaboration with the client’s tastes and needs firmly in mind. Carol Batalha Interior Design, has over 10 years of experience. We offer our clients a wide range of options ranging from the renovation/decoration of a single room to a full set of construction documents for an entire apartment or home. Our mission is to create beautiful homes to fit the individual needs of each client. Every project is a true collaboration with the client’s tastes, needs and budget firmly in mind. We love working with drapery and window cover because we know the big difference that brings to every home this small and very important final touch. Kelsie's Blinds was established in 1994 in Central Florida by our CEO David Wright and remains family owned & operated. With hard work & dedication, he has grown Kelsie's Blinds into one of the largest custom window blinds companies in the SE, specializing in customization & motorization in both residential and commercial applications. Our success is driven by an absolute passion for serving our customers the only way we know how... the 'Wright' way! Quality, affordability, convenience and outstanding customer service are the cornerstones here at ShadesToYou. Family-owned and operated since 2001, we serve residential, commercial and wholesale clients across Central Florida, in all of the Greater Orlando areas. We offer quality, brand name, custom window treatments at a guaranteed low price, providing you savings and convenience. One of our knowledgeable Window Covering Consultants will bring product and fabric samples to your home and help you choose the right style window covering for your decor. As a full service company, we are with you every step of the way, from consultation to installation! Consult: We still make house calls! One of our Window Covering Consultants will bring a vast array of product samplings, plus exciting ideas to help you select the very best window treatments for your home. Measure: If a final measurement is required by our Master Installer, we professionally measure the windows and doors at a time convenient for you. 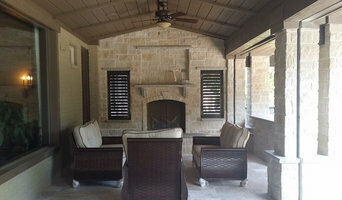 Fabricate: Your custom shades, shutters, draperies and blinds are expertly fabricated. You are notified as soon as they are ready for installation and a time is set up that is most convenient for your schedule. Installation: Our trained Installation Team carefully installs your window and door treatments, taking precautions to leave your home cleaner than when they arrived. Warranty: We provide a warranty on products and services. Your satisfaction is very important to us. Products: We stand by products that have been customer, manufacturer and industry tested and approved. We are also constantly reviewing and testing new products and manufacturers to provide you with the best value and highest quality brand names. 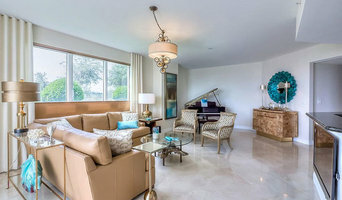 Curtain makers, retailers and designers in Orlando, FL can work wonders with pieces of fabric, while fitting blinds or shutters can be tricky to do yourself, so it’s definitely a wise idea to hire a window dressing professional in Orlando, FL who can design, make and/or fit bespoke blinds, curtains or shutters for you. Whether you want sleek roller blinds for your home office, roman blinds for your kitchen, venetian blinds to smarten up your living room, plantation shutters for your bay windows or delicate voile curtains for the bedroom, there will be Orlando, FL curtain makers, blind fitters or shutter company to help you with your ideas on Houzz. A curtains, blinds or shutters company in Orlando, FL will first be able to advise you on the style of window dressing that will work with your windows and rooms. If you have an idea or design in mind for your window dressing, then discuss this with any potential experts, such as curtain makers in Orlando, FL, to see if your design and style is possible. You will need to work closely with them if you are planning on having custom curtains, bespoke blinds or shutters created. Curtain makers will be able to turn most fabrics into curtains, so if you’ve found a pattern or fabric you like already, present this to your Orlando, FL curtain makers and they could be able to turn it into curtains for you. Even when clients don’t have certain fabrics in mind, curtain makers can suggest fabrics based on your style and the rest of the room’s design. They can pick out the right weight, thickness, length and pattern that would suit your room. Curtain retailers in Orlando, FL will offer a huge range of readymade curtains, or curtains that can be adjusted or made to order. Contact Orlando, FL curtain retailers if you’d prefer to choose from a large selection of ready-to-go curtains; whether they are high-end designer curtains or just plain white curtains; rather than waiting for some bespoke designs from a curtain maker that may take a bit longer. You may find that curtain makers in Orlando, FL also offer a stock of ready-to-go curtains, too, but always double check with the professional first. Once you’ve decided on a design, curtain makers, blind fitters and shutter professionals will usually measure your windows or doors to ensure a good fit. If you are having blinds or shutters made then it will probably be best to have them professionally installed, too. Blind fitters and shutter companies should offer this service with their products as blinds and shutters need to be firmly fixed to the windows; something that most homeowners don't know how to do themselves. Although roller blinds and Roman blinds can be fairly simple, vertical blinds and Venetian blinds can be a bit more complex, and if you want remote controlled blinds that operate with the touch of the button, then you definitely need to call in the Orlando, FL blind fitters. 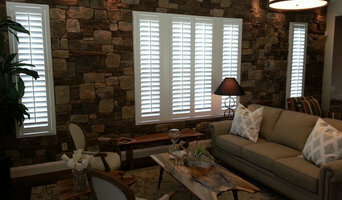 Plantation shutters are substantial window dressings and need careful measurements and installation, so it’s really best to leave the measuring, design, manufacture and installation to a professional Orlando, FL shutter company. Blind fitters, shutter companies and curtain makers in Orlando, FL should also check the insulation of your chosen window dressing and make sure there are no potential hazards once fitted. Finally, they should confirm with you that your curtains, blinds or shutters are functioning as you’d like them to before finishing the job. What should I ask Orlando, FL curtain makers, blind fitters and shutter professionals? Find curtain makers, blind fitters and shutter professionals on Houzz. Narrow your search in the Professionals section of the website to Orlando, FL blind, shutter or curtain maker professionals. You can also look through photos to find examples of Orlando, FL window dressings that you like, then contact the curtain retailers, blind fitters, shutter professionals or curtain makers in Orlando, FL who worked on them.